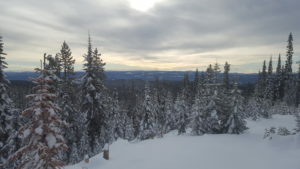 Is Silver Star Better than Lake Louise? 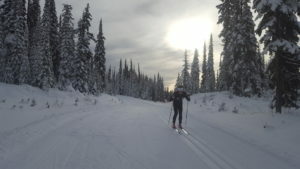 The rest of the AIAWCA skiers followed snow into the west for a mini-camp at Silver Star resort in Vernon. The result was days of solid, consistent training, and a trip down memory lane for Jeffries. 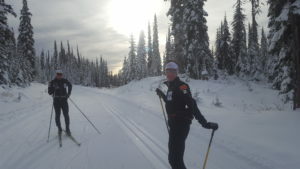 Skiing in Lake Louise at 1700 to 2100m elevation on soft tracks limits technique work, but Silver Star allowed the team to wake up next to kilometres of open trail. 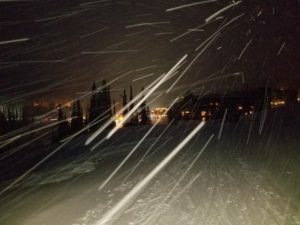 “If we get back to our core philosophy to get better access to snow for technique, it’s worth spending the money. 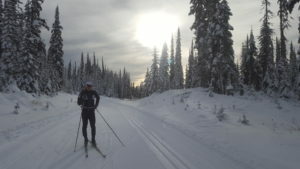 Silver Star conditions were the best I’ve seen since I started going in 1996,” Jeffries said. 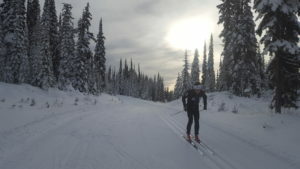 The team clocked heavy miles, finished an intensity session and is invigorated to begin the race season next week in Canmore. Annika Hicks and Dominique Moncoin-Groulx will use the next set of races to build towards Olympic trials, while the junior athletes chase spots at the U23 World Championships.